The "Casablanca" of Space Conferences! In Ottawa, Nov 2013. Photo c/o Sean Kilpatrick/Canadian Press. 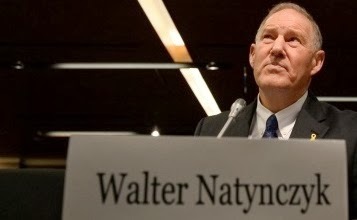 Much like Captain Renault in the 1941 classic "Casablanca," retired Canadian Forces general and current Canadian Space Agency (CSA) president Walt Natynczyk seems to have rounded up the "usual suspects," for what was billed informally as Canada's first annual "space summit." About 100 "key players," including representatives from industry, academia and government, met on Tuesday to listen to presentations from Natynczyk, Industry Canada representatives and other government officials "who are in charge of the use of Canadian space assets," according to the February 25th, 2014 Canadian Press article "What happened at Canada's first annual space conference?" 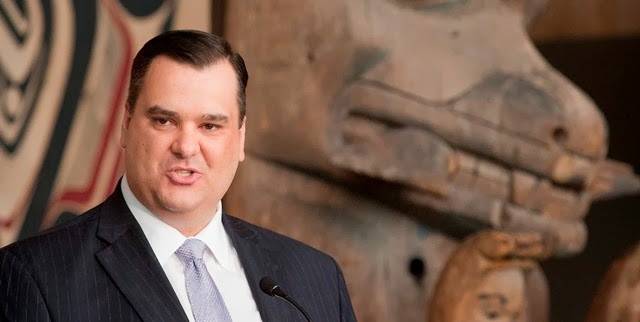 The event was likely the first step in the formation of the proposed committee chaired by Natynczyk and tasked with the job of "representing the full range of stakeholders in the public and private space domain," as promised in the February 7th, 2014 announcement from Industry Minister James Moore. But that announcement included the release of a small, thirteen page document the government called "Canada's Space Policy Framework: Launching the New Generation," which also included the provision for a second committee, chaired by a deputy minister to review CSA "objectives and expenditures." It's generally conceded that this second committee will end up having far more influence over CSA activities than the first one, if only because of its fiscal mandate. And, although the meeting was not totally without merit, it goes without saying that most of the participants would rather have been somewhere else. The reason for that is simple. With no new funding offered up for any current or upcoming CSA programs, and only vague promises of moving forward with the Polar Communications and Weather Satellite Mission (PCW) at some undisclosed future date, the CSA cupboard is most likely to remain bare, at least until the next Federal election. All that really means is that the government space program is stalled and now is the time for private industry and commercial concerns to step up to the plate. 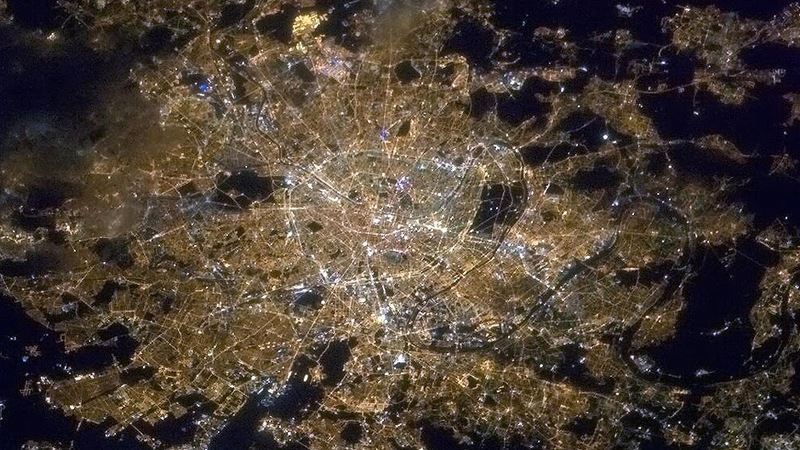 Paris, as tweeted by Chris Hadfield on board the International Space Station, April 17th, 2013. Photo c/o CBC. Of course, we shouldn't forget our past and the CSA, with its history of Canadarms and Chris Hadfields will always hold a place in our hearts and our history. Just like Rick said to Ilsa, during the climactic airport scene in Casablanca, "we'll always have Paris." Dan Goldberg. Photo c/o Telesat. 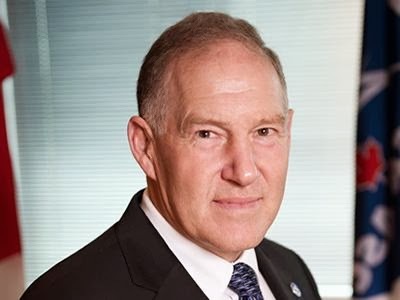 Canada’s top three space companies, Telesat, MacDonald Dettwiler (MDA) and COM DEV International, are teaming up to bid on the Canadian government’s upcoming Polar Communication and Weather satellite mission (PCW), whose development is expected to begin in 2016. According to the February 10th, 2014 SpaceNews article, "Top Canadian Space Companies Join Forces in Polar Satellite Bid," the three companies are pitching their bid as the ‘Team Canada’ solution. It is a made-in-Canada solution that is compatible with how the government has been thinking about how to leverage defense procurement to stimulate innovation and high value jobs in Canada. It’s three world-leading Canadian companies who have a very, very compelling, technical, operational solution to meet the government’s requirements. But its also quite likely that this Canadian space triumvirate decided to combine efforts to better confront competition from foreign bidders. Among them is US aerospace behemoth Lockheed Martin Space Systems, who also responded to the Federal government’s request for information (RFI) for PCW before it closed on Jan. 31st, 2014. As part of its bid for the PCW project, Lockheed Martin is dangling some juicy carrots in the Canadian government’s face. The company is offering Canada custom satellites designed for its needs and the possibility of Canadian involvement in the US Navy’s Mobile User Objective System (MUOS), an in-development next-generation tactical satellite communications network that could be used for Arctic communications. As outlined in the November 4th, 2013 post "Polar Communications and Weather Project Inches Slowly Forward," the RFI was a follow-on to the February 2013 Canadian Space Agency (CSA) announcement that it was seeking partners (including other Canadian government agencies as well as international partners) to help build and finance PCW. First announced with much fanfare, by the Harper Government in 2009 as part of its plan to bolster Arctic sovereignty, the PCW project would involve the launch of two satellites in a highly elliptical orbit to provide high data-rate civilian and military communications as well as near real-time arctic weather and space weather monitoring. Though first announced in 2009, the project languished for years under a fog of political and fiscal uncertainty until November 2013, when the federal government issued its RFI. Although awarding the PCW contract to ‘Team Canada’ would likely benefit the domestic space sector more than awarding it to a foreign firm, it may also do Canada a disservice in other ways. The PCW project had an initial cost estimate of $600Mln CAD, but with fewer competitors in the bidding process, and thus less downward pressure on bids, the project’s final price tag may be much higher. The question remains, by rooting for the ‘Team Canada" solution, will Canada get the most bang for its buck? Brian Orlotti is a Toronto-based IT professional and the treasurer of the Canadian Space Commerce Association (CSCA). A Canadian company which developed a modular lunar rover chassis with the help of a 2008 Canadian Space Agency (CSA) grant is planning to corner the worldwide terrestrial market for extraterrestrial rovers, but the original plan to send one to the rovers to the Moon is currently on hold due to a lack of funding. The Argo J5 Mobility platform being demonstrated at the UTIAS MarsDome on February 20th. Directly behind the orange J5 is a grey JUNO mobility platform (J1) and a J4 Rover, which is currently the basis of the Artemis Jr., the chassis of choice for the proposed NASA Resolve mission. To the left is a second ARGO J5 rover equipped with ODG’s lunar wheel prototype, optimized for harsh conditions. Both the JUNO and Artemis Jr. Rovers were developed under a series of CSA contracts, beginning in 2008. At least that's the plan outlined by Peter Visscher, the space and robotics manager for New Hamburg based Ontario Drive and Gear (ODG) during a February 20th, 2014 public presentation at the MarsDome, a 1,100 square metre, fully enclosed testing facility modified to simulate an extraterrestrial surface, located at the University of Toronto Institute of Aerospace Studies (UTIAS) North York campus. Visscher was promoting what he called "pre-production" models of the new Argo J5 Mobility platform. The platforms, generally known as rovers, will be built for educational institutions interested in testing tools for planetary research using real world, or maybe real "off-world" conditions. To facilitate this, the rover chassis utilizes a standard control area network (CAN Bus) interface, open API's to facilitate plug-in third party autonomous guidance software and standardized hardware attachment points, something which Visscher calls a "lego style" design. The easy attachment for both hardware and software is designed to encourage the parallel development of the various modules required for academic research and to speed up the development cycle. An interior shot of the ARGO J5, showing available space along with the standardized bolt holes and attachment points. The J5 measures 1.52 metres x 1.38 metres x .83 metres (H) and weighs 250kg. It's amphibious, maintenance free once deployed and can carry 250 kg at a top speed of 20km/h on land and 4km/h on water. "There's lots of academics and researchers looking to work with autonomous vehicles and the ARGO J5 gives them a modular, configurable and low cost chassis for their experiments so that they don't need to reinvent their wheels from scratch," said Visscher, during an interview after the presentation. 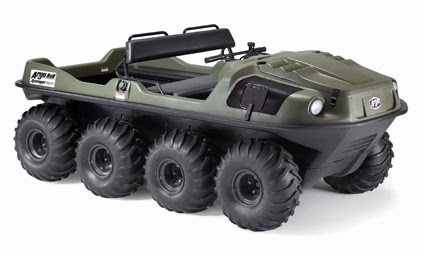 ARGO ATV. Photo c/o ODG. According to Visscher, the academic market is just the first step in a wider release. Potential markets for the J5 include military, mining, recreational and other areas. The new rovers will use the same service network as the firm's ARGO all terrain vehicle, which is presently sold and supported in 80 countries throughout the world. But of course, since the J5 rover derived from earlier development work on Moon rovers, it's only natural that Visscher doesn't just want to see ODG rovers marketed to meet terrestrial demands. He wants to send them to the Moon which seems perfectly reasonable given their genesis. Artemis Jr. rover. Photo c/o CSA. As outlined in the November 18th, 2013 Ottawa Citizen post "NASA wants to drive Ottawa-designed rover on the moon," a Canadian rover, based around an ODG design was originally developed as a core component of a proposed NASA mission to hunt for water on the Moon in 2017. The Artemis Jr. rover currently favored by NASA for the mission is the product of a group of Canadian companies including Ottawa based COM DEV International and Neptec Design Group, Sudbury based Deltion Innovations and Sherbrooke based NGC Aerospace. But the chassis is designed and built by the same ODG team which went on to build the J5 rover. Of course, as outlined in the February 5th, 2014 post "Canadian Government Funds Proposed Lunar Drill" the NASA mission is currently unfunded and would require a "landing vehicle," which the US would first need to design, fund and then construct. NASA doesn't even have the money to pay for the rover and has asked the CSA to fund further development. 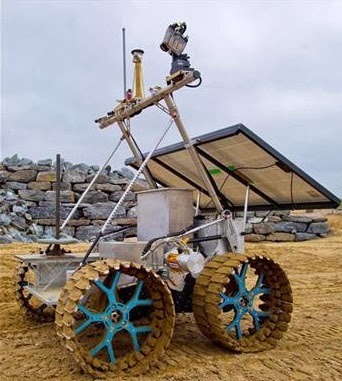 CSA has so far only offered up an undisclosed amount to develop the Deltion drill component of the payload, but has not yet offered up any money to fund any further rover chassis development. 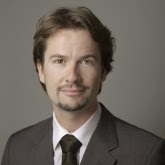 Visscher is hopeful that this could change given the appropriate public support. While his firm would likely benefit from the acquired flight heritage accrued through the proposed NASA mission, it's quite likely that ODG will make money no matter what CSA and NASA end up doing. The Neuroarm at work. Photo c/o CSA. Medicine and Canadian space technology have met once again to combine two seemingly separate fields of study, in a beautiful and life saving way. MacDonald, Dettwiler (MDA) and the University of Calgary have teamed up to build neuroArm, the world’s first robot able to perform microsurgery and stereotaxy inside magnetic resonance machines (MRI). This concept presented a number of unique challenges. 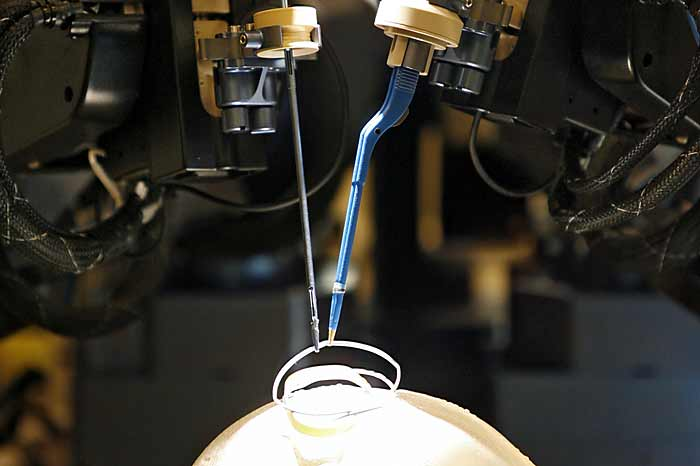 How could a machine be created to be as precise and dexterous as the human hand, without compromising surgical technique? How could a machine with cameras, motors and actuators be made from non-ferromagnetic materials so as not to be affected by the magnet or adversely affect the images? Would the machine be capable of being integrated into surgical procedure with minimal disruption to the traditional workflow? The neuroArm project looked to show that the addition of robotic and space technology in the operating room would be revolutionary and life changing for many patients and surgeons. The project started back in 2002, and was unveiled globally in 2007,2 but, throughout the past year, has been used to trigger a movement whereby the benefits of space technology are studied and appreciated. MDA is continuing to use their brilliant and life changing technology for good, by partnering with the Hospital for Sick Children, in Toronto, on a robotic arm to aid in surgical procedures on small children and babies. MDA is also working on an autonomous robot that will aid in the early detection and treatment of breast cancer. Everyday, new, unheard of inventions and space technologies are influencing and helping in our daily lives, and it is wonderful that several influential ones are based and developed in Canada. 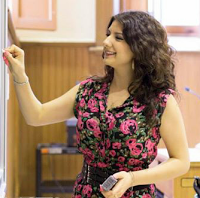 Sarah Ansari-Manea is an aspiring astrophysicist, currently completing a specialist in physics and astronomy at the University of Toronto. Two space market analysis firms have just released reports describing the continuing transformation in the global space sector; shrinking government space programs contrasting with growing private space initiatives. On Feb 13th, Paris-based Euroconsult released their report titled, "Profiles of Government Space Programs" stating that budgets for government space programs worldwide have dropped to $72.1Bln USD in 2013 after reaching a peak of $72.9Bln USD in 2012. According to the report, 2013 is the first year since 1995 in which government space programs have entered a global downward trend, a result attributed to both the cyclical nature of program funding as well as government austerity measures due to the global recession. Despite this, the report’s editor (and Euroconsult COO) Steve Bochinger stated in a press release that there are positive signs, such as the emergence of new leading space nations in addition to a growing number of nations building up their space capabilities. Bochinger went on to say that Euroconsult anticipates government space spending to recover in many nations in the latter part of this decade. The Euroconsult report goes on to state that the current global fiscal austerity has forced many nations to be more innovative with their space programs, most notably welcoming wider private sector involvement in areas until recently restricted to government entities. This current transitional period will have far-reaching effects on how governments view their space programs and how private contractors structure their dealings with government. In 2013, 58 countries invested $10Mln USD or more in space applications and technologies, compared to 53 in 2011 and 37 in 2003. 22 more countries have been identified with plans for space investment. The US invested $38.7 Bln USD in its space program (civil and defense) in 2013 confirming the downward trend initiated since the start of the decade. This is an $8.8Bln reduction compared to the peak spending of $47.5Bln in 2009. Russia recorded a massive increase of its public investment in space and is the only country after the US to pass the $10Bln USD cap. In the last five years, Russia's investments have accelerated at an impressive average growth of 32% in local currency. Another six countries invested over $1 billion: Japan, China, France, Germany, Italy and India, as well as the European Union. China's 8th place ranking for space spending as a ratio of its GDP indicates there is room for investment growth in the future. 19 countries recorded over $100Mln in spending: the UK, Canada, Brazil, Spain, South Korea, Belgium, Kazakhstan, the UAE, Argentina, Mexico, Australia, the Netherlands, Switzerland, Turkey, Sweden, Israel, Nigeria, Iran, and Norway. But Atlanta-based analyst firm SpaceWorks Enterprises, Inc. has also just released a report, titled "2014 Nano / Microsatellite Market Assessment." There are an estimated 410 to 543 nano/micro-satellites (defined as being in the 1-50 kg mass range) globally that will need launches in 2020 (compared to 92 in 2013). In the 2014-16 time frame, there are 650 nano/micro-satellites in various stages of planning & development. Nano/micro-satellite launches have grown by an average of 37.2% per year since 2009, with an expected 23.8% growth per year over the next 6 years (2014-2020). The continued growth of the nano/micro-satellite market shows no signs of abating, which will likely boost the efforts of current players and spur the entry of new ones. Some decry the decline of government space programs as the end of space exploration itself, while others welcome the greater participation of the private sector as a way of making space more efficient and effective. The the space sector’s transformation isn’t a question of the glass being half-full or half-empty; it is simply changing shape. 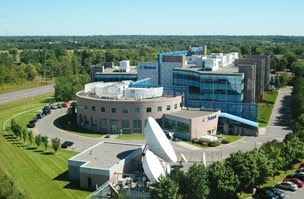 Telesat HQ in Ottawa. Photo c/o Telesat. US based Kohlberg Kravis Roberts and Co. (KKR) and the Carlyle Group, along with UK based Apax Partners LLP (APAX), Toronto based Onex Corp. (OCX) and the Canada Pension Plan Investment Board (CPPIB) are each weighing separate bids for Canadian satellite company Telesat Holdings Inc., at least according to the February 13th, 2014 Bloomberg article "KKR, Apax Said Among Buyout Firms Weighing Offers for Telesat." The article quoted unnamed "people with knowledge of the matter," as the source of the information and further stated that "the process will be culled to one or two offers in March." 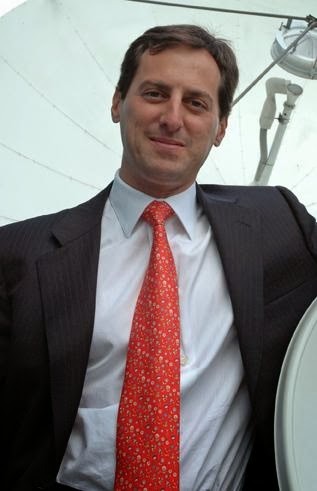 The sellers are seeking a price of about $6.5Bln in a deal that would require joint shareholders Loral Space & Communications Inc. (which owns 63% of Telesat) and the Public Sector Pension Investment Board (a Canadian crown corporation which owns the remaining, minority share of the company but also controls 67% of the voting rights) to both sell their shares to the new owner. The deal could be completed as early as April 2014. Telesat executive team. Photo c/o Telesat. Of course, Telesat owners have been looking at offers for awhile, almost since the present ownership structure was put into place in 2007. The July 31st, 2009 post, "Telesat HQ Likely to Remain In Ottawa Just Down the Street from Golf Course," focused on company concerns and options relating to a Canadian federal government proposal to auction off satellite orbital slots. The March 21st, 2010 post "Telesat Hunting for Deals: Report on Business," mentioned the possibility of a sale "after the federal government said it would loosen foreign ownership restrictions in the telecom sector." The February 4th, 2011 post "Interesting Speculation About Telesat," dealt with some of the business logic behind a potential sale, by looking at what happened when Telesat merged with Loral Skynet in 2007, while the March 10th, 2011 post "Telesat Sale (or Recapitalization) Near (or Not)" looked at the confusing situation in 2011, just before the last serious attempt to sell the company. Of course, the September 1st, 2012 post "Will Telesat IPO before July 25th, 2013?" provided the first public confirmation that at least one of the company shareholders was still looking to leave, if not in 2013, then eventually. Only time will tell if the current deal ends up moving forward, unlike all the earlier ones. 2014 Winter Olympics are "Out of this World"
2014 Olympic opening ceremonies. Photo c/o Al Jazeera. The 2014 Winter Olympics had an out of this world theme all throughout the opening ceremony and even prior, spreading the international love of space and stellar exploration. The theme began with the Olympic torch relay and continued forward from there through the opening ceremonies. The Russians have set several records with this Olympics’ torch relay this year, but last November marked the first time the Olympic torch had been exposed to the open vacuum of space. Exactly one month since the start of the Sochi 2014 Olympic Torch Relay's journey across Russia, a Soyuz TMA-11M was launched from the Baikonur Cosmodrome with the torch on board. 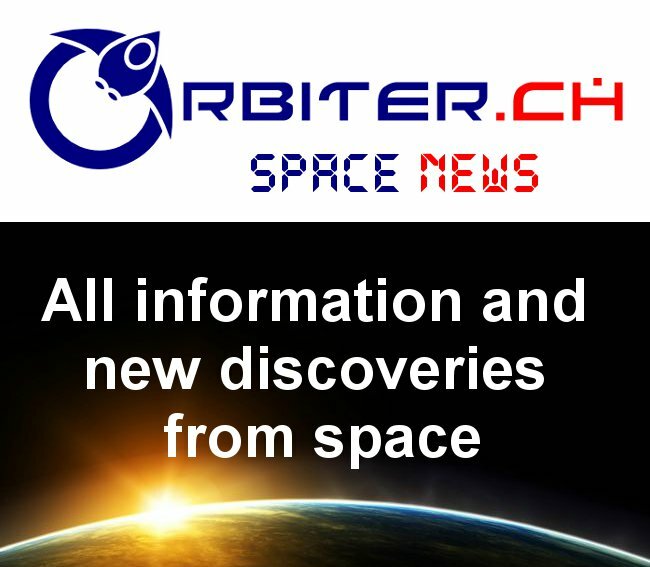 On arrival at the International Space Station (ISS), the commander of the ship, cosmonaut Mikhail Tyurin, passed the Sochi 2014 Torch to Oleg Kotov and Sergey Ryazansky, who took the torch on a spacewalk on 9 November,” as reported on the official site of the Sochi games. As outlined in the February 3rd, 2014 Space.com article "Cosmonauts take Sochi Olympic torch on spacewalk," the 2014 relay was the longest before any other Winter Olympics and covered a distance of 65,000 km. Though the torch has been in space before, it has never accompanied astronauts on a space walk. The Olympics began last Friday, with the intent to bring the world together in celebration and featuring an overpowering space theme. Russian space exploration successes were clearly demonstrated throughout the ceremony. 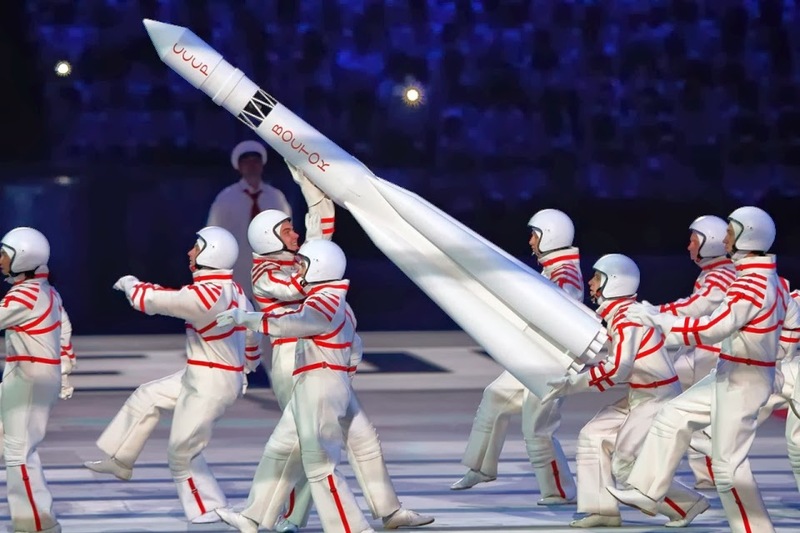 As outlined in the February 7th, 2014 Space.com article "Sochi Winter Olympics Launch with Space-Flown Torch, Cosmonaut Flag-Bearers," cosmonauts, spacesuits, and rockets were some of the featured highlights used to showcase Russia’s history in space. "We will hand out our medals to all the athletes who will win gold on that day [February 15], because both the meteorite strike and the Olympic Games are global events," said Chelyabinsk Region Culture Minister Aleksey Betekhtin. Not only does the space-travelling torch, cosmonaut appearances, and extra planetary theme demonstrate that space is a lot closer than previously imagined, it also shows how far we have come as a race, and how much we’re capable of. 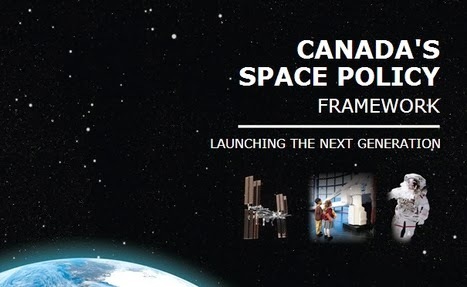 On February 7th, Canada’s Space Policy Framework was released to the public. One of its stated “key principles” is “positioning the private sector at the forefront of space activities.” So its a good thing that Canada is well-equipped to implement this principle by leveraging the strength of its growing tech start-up/incubator culture. The fall of Canadian tech titans like Nortel and Blackberry, which released a large pool of experienced executives and engineering talent into the market. The removal of section 116 from the Federal tax code in 2009. As outlined in April 10th, 2010 Securities Law post "Section 116 relief for non-resident investors," this change made start-up investment much less complex and costly for US investors and encouraged foreign investment money to begin flowing into Canada. The opening of branch offices of large US technology firms like Facebook, Amazon, Google, Twitter, and Square in cities such as Vancouver, Toronto, Waterloo and Montreal to take advantage of Canada’s abundant engineering talent and lower operating costs. Their presence has helped inject additional energy and expertise into the Canadian start-up sector. Spurred by these conditions, a large amount of foreign, mostly US, technology venture capital is now flowing into Canada. According to the C100, a non-profit organization founded by Silicon Valley entrepreneurs to promote Canadian technology entrepreneurship and investment, over $700Mln USD of venture capital has been invested in Canadian companies over the past two years. Canada’s incubator culture has seen many start-up successes like Vidyard (video hosting), FreshBooks (cloud-based accounting software), Kobo (an eBook reader recently acquired by Rakuten for $315Mln CDN) and Beyond the Rack (online fashion sales). Other examples include Desire2Learn (post-secondary web-portals) and Shopify (eCommerce platform for creating online stores). Software-enabled hardware startups like Bionym and Thalmic Labs are leveraging the talents of former Nortel and Blackberry employees to create innovative devices. Bionym has created a wristband that can read a person’s heartbeat and use it as a biometric signature, while Thalmic Labs markets an armband that lets you control devices via arm gestures. Makerspaces, composed of free tools, supplies, and office spaces, run by the incubator/ accelerator to bring start-ups to speed on current hardware and fabrication options. Chris Anderson, in his book, Makers: The New Industrial Revolution, illustrated how accessible and useful some of these new manufacturing technologies are to the average person and start-up. Makerspaces would also serve to "pool" office supplies and other administrative requirements. The creation of mature mentor teams. Unlike software start-ups where a coder could be one of the world’s best before age 25, it takes time to develop as an aerospace engineer. Accelerators/ incubators could offer access to a team of semi-retired “greybeards” or engineers with expertise developed over decades at places like the Canadian Space Agency (CSA), NASA or elsewhere who could review/critique plans, serve on a firm’s advisory board or even maintain a more active role in especially interesting start-ups. Free ITAR lawyer services. Unlike most software start-ups, NewSpace need to be aware of International Traffic in Arms Regulations (ITAR) and develop strategies to not run afoul of either the US regulations or the Canadian Controlled Goods Program, which governs Canada's Implementation of the ITAR dual national rule. Accelerators and incubators can certainly help facilitate access to lawyers with expertise in this area. Lawyers would benefit by developing contracts with start-ups offering the potential for fast growth and lots of billable hours related to deal structuring and patent protection. Partnerships with industry specific market analysis and business model development support organizations like Newspace Analytics and Newspace Global to help young start-ups develop a business model with profit potential. Software companies mentor software start-ups and NewSpace companies could certainly do the same to help grow their industry segment. Even more traditional firms like MacDonald Dettwiler (MDA), Telesat and COM DEV International could do the same in much the same way that Rogers Communications supports Canadian start-ups in the telecom and software application sectors. Partnerships with other industries which have faced similar challenges in the past. For example, NewSpace shares many of the same challenges as the Clean Tech industry and could learn much from accomplished C-Suite executives in this area and from successful second-time entrepreneurs in general. Convincing one of them to join a NewSpace start-up board of directors, could also help with the next round of funding. Partnerships with local universities to provide a low cost graduate work force and start-up owners. This certainly isn't rocket science and is mostly the practice in Canada among hi-technology firms now. NewSpace start-ups should leverage these "best practices" where applicable. A focus on small products and services, even in space. Small normally means less to develop which normally means reduced capital requirements, which brings products to market faster and normally also leads to a faster investor exit and more investor profit. Longer "incubation" times for initial product development. Both California based digital focused YCombinator and Kentucky based Space Tango (which bills itself as "the nation’s first business accelerator specifically for space enterprises and entrepreneurs") offer an intense period of entrepreneur preparation before a new start-up is let out on the open market. But while YCombinator normally offers a three month preparatory period, Space Tango requires a six month cycle simply because hardware takes longer to create than software code. The six month batch also gives extra time to schedule external testing with zero-g and suborbital flights, or through local universities, large aerospace firms and government facilities like the the David Florida Laboratory. Of course, the requirement for hardware and longer lead times also implies a need for larger funding, which re-enforces the need to focus on small products and services as a cost reduction measure. Of course, there will certainly be areas where NewSpace incubators/ accelerators will outperform their software counterparts and one of these areas might be the traditional "end of batch" demo day, where a series of start-ups finishing up their incubation period are required to present developed products and ideas publicly to investors. This may be one area where NewSpace actually has an advantage over Silicon Valley. Watching a start-up team operate an welder, or a 3-D printer manufacturing parts or viewing real hardware being tested on a suborbital rocket flight is much more photogenic and satisfying than overseeing a twenty year-old writing code in his apartment while eating Raman noodles and drinking Red Bull. Conservatives Form Committees; NDP Says "Incompetence Crippling Space Sector!" There was once a time when the Industry Minister didn't need to be in the room when his department announced the formation of two new committees to supervise ongoing activities. But times change and the Friday announcement from Industry Minister James Moore of the formation of two committees, one chaired by Canadian Space Agency (CSA) president Walt Natynczyk and tasked with the job of "representing the full range of stakeholders in the public and private space domain," along with a second committee, chaired by a deputy minister to review CSA "objectives and expenditures," does seem to have set off a firestorm of interest. The committees were announced as part of the release of what the government called "Canada's Space Policy Framework," on January 7th, 2014 during a press conference at the Canadian Aviation & Space Museum. The new policy was promoted by Minister Moore as the logical follow-on to the David Emerson led Aerospace Review, the November 2012 arm's length review of the aerospace "and space" industry which was highly critical of CSA activities. As part of the presentation, Moore also announced that Canada will invest a further $17Mln CDN into Canadian firms subcontracting work as part of the US based James Webb Space Telescope (JWST). As per the February 5th, 2014 Space.com article "NASA Chief Treads Carefully on James Webb Space Telescope Budget," the JWST has a history of massive cost over-runs and looks set for another round, so the additional Canadian money will certainly be appreciated. Minister Moore on Friday. Photo c/o Xinhua. In an unusual step, the opposition Federal New Democratic Party (NDP) almost immediately responded to the release of the new space policy by posting a press release on the NDP website under the title "Conservative incompetence crippling space sector." The party is expected to follow-up next week with questions in Parliament on the new policy. The last time the NDP questioned the ruling Conservative government policies in this area was in 2008, when NDP member of parliament Peggy Nash questioned the value of allowing the proposed $1.3Bln CDN sale of BC based Macdonald Dettwiler (MDA) to US based Alliant Techsystems (ATK). That sale was eventually blocked by the Federal government over concerns relating to national sovereignty, ongoing access to sensitive RADARSAT1 and RADARSAT2 data plus issues relating to the viability of the follow-on RADARSAT Constellation mission (RCM). Others came out with more favorable comments. As outlined in the February 7th, 2014 Aerospace Industry Association of Canada (AIAC) press release "Aerospace industry applauds release of new Space Policy Framework,"the AIAC took the position that "the Space Policy Framework builds on both recent and historic Canadian achievements in space, particularly the recent mission led by Canadian astronaut Chris Hadfield, who became the first Canadian commander of the International Space Station (ISS) in 2013." But of course, the real Chris Hadfield was unavailable for comment and that might just be for the best given that the actual issues here might be more related to staffing, instead of space exploration. 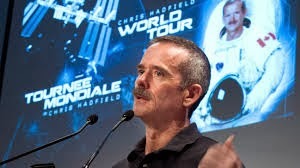 How did Chris Hadfield get dragged into this discussion? The author and ex-astronaut promoting his world tour. Photo c/o Speakers Spotlight. The externalization of outreach functions (under a committee chaired by Natynczyk), fiscal oversight and even policy making (under a second committee chaired by a deputy minister) would normally clear the way for re-assignment and lay-offs of CSA employees whose roles have been, essentially "outsourced." 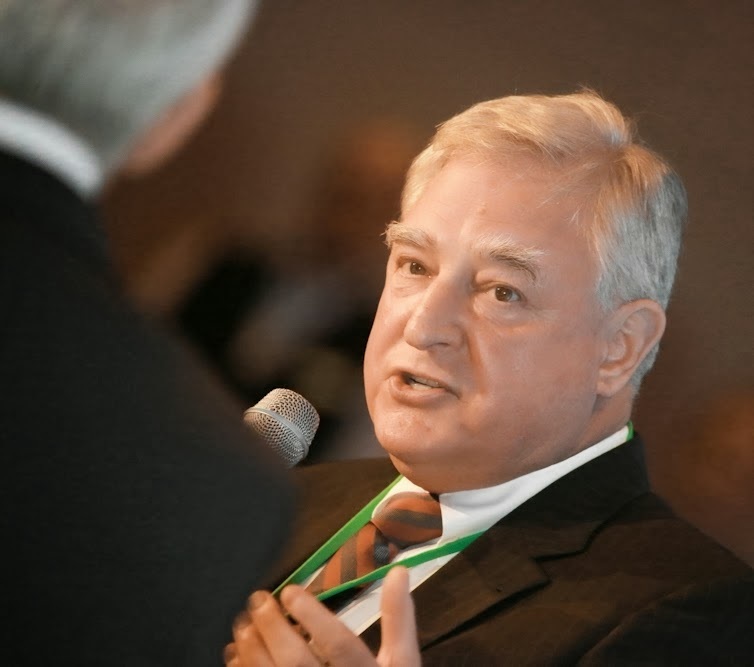 Supervising those lay-offs was widely expected to be a part of Natynczyk's role when he was initially hired but the original plan seems to have been replaced with a more "incremental approach" to what is perceived to be a series of "interdepartmental staffing issues" brought to the fore as the CSA was stripped of its original role and mandate and new roles needed to be found for CSA employees. This might end up being the real reason behind Friday's announcement and the real reason for the NDP taking what is for them a very rare public stance in this area. The Artemus Jr. lunar rover. Photo c/o CSA. Deltion Innovations Ltd. of Sudbury, Ontario has been awarded a contract from the Canadian Space Agency (CSA) to develop a drill for a proposed US moon mission that could kickstart an off-world mining industry. Of course, there are many, mostly political, issues still to be overcome before the mission will move forward. The February 4th, 2014 Examiner.com article "Is NASA really returning to the Moon?" mentioned two, when it stated that the proposed US mission is "currently unfunded" and would require a "landing vehicle," which the US would first need to design, fund and then construct. But despite all that, as outlined in the February 1st, 2014 Canadian Press article "Drill developed by Canadian firm for moon would kick-start space mining industry," NASA has invited Canada to provide a lunar drill and rover for its upcoming Resource Prospector Mission (RPM) and the CSA has offered up an undisclosed amount for design and testing. Currently proposed for a 2018 launch, the $280 million USD RPM will be NASA’s first attempt to prove the feasibility of in-situ resource utilization (ISRU) beyond Earth. RPM will deploy a drill-equipped rover to the Moon’s polar regions to seek out areas with large amounts of subsurface hydrogen (a telltale sign of water’s presence) and extract samples for analysis. The ideal find would be actual water, but the mission will also have the equipment to combine oxygen from the lunar soil with hydrogen to make water on-site. The discovery (or manufacture) of water would be a major milestone in the economic development of the Moon. Lunar water could provide oxygen (for breathing and for rocket fuel), methane, and liquid hydrogen. The discovery of water would enable fuel depots to be built which would enable spacecraft heading to and from the Moon (as well as the rest of the solar system) to carry less fuel and more cargo. Lunar water could form the foundation of a lunar economy. The vanguard of lunar development could take the form of the Artemis Jr. lunar rover, built by a group of Canadian firms including Ontario Drive & Gear of New Hamburg, Ont. (chassis & drivetrain), Neptec Design Group Ltd of Ottawa, Ont. (LIDAR and other sensors), and Provectus Robotics Solutions Inc. of Ottawa, Ont. (control and operator interface software). Born of the Harper’s Government’s 2009 Economic Action Plan, Artemis Jr was one of several rovers developed by Canadian companies via a $57Mln CDN CSA grant program. In May 2010, then-CSA President Steve McLean proposed increasing the CSA’s budget by $2 billion and in July 2011, ex-CSA President Marc Garneau called for an all-Canadian robotic mission to Mars and a doubling of the CSA’s $425-million annual budget over the next decade. But both men’s sentiments rang hollow with the Harper Government and, as outlined in the December 5th, 2011 Commercial Space blog post "Canadian Space Rovers on the Chopping Block," funding for the Canadian rovers ran out on March 31st, 2012. At the time, the program’s end left the Canadian space sector in the unenviable state of a surplus of rovers with no buyers. The NASA Resource Prospector mission, however, offers the hope of better times ahead. Artemis Jr. measures 1.5 m long by 1.6 m wide and weighs about 270 kg, with a payload capacity of up to 125 kg. Capable of remote-controlled or autonomous operation and equipped with onboard cameras and LIDAR, the Artemis Jr was field tested in Hawaii in July 2012 as part of NASA’s Regolith and Environment Science & Oxygen and Lunar Volatiles Extraction (RESOLVE) project (since renamed to Resource Prospector Mission). The tip of the lunar vanguard’s spear could be the ‘DESTIN’ drill, built by Deltion. Originally a part of the Sudbury, Ont-based Northern Centre for Advanced Technology (NORCAT), Deltion drew on its extensive mining expertise to design a drill that could stand up to the harsh and unforgiving conditions of the Moon. Mounted on the Artemis Jr. rover, the DESTIN drill will be tested in late summer or early fall of this year at NASA Glen Research Center in Cleveland, Ohio. The NASA Resource Prospector mission represents a key opportunity for the Canadian space sector. The successful discovery (or manufacture) of water on the Moon will give further credibility to the idea of lunar resource extraction. Such credibility will give investors (be they governments or private capital) the confidence to increase the flow of funds into lunar development. Canadians have a second chance to blaze a trail to the Moon. Will Canada Support the Growth of Small "NewSpace" Companies? David Emerson. Still batting 2 for 3? Photo c/o APFC. 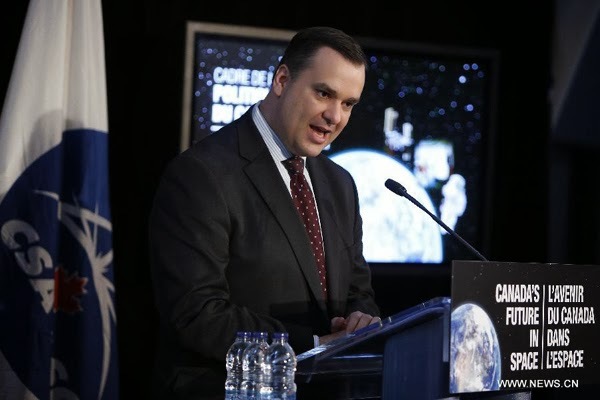 As outlined in the January 31st, 2014 Canadian Press article, "Ottawa to announce new Canadian space policy Feb. 7," Industry Minister James Moore is expected to announce a new Federal space policy on Friday. This policy is intended to define and guide the future actions of the Canadian Space Agency (CSA), although its direct impact on Canadian businesses remains less clear. The core of this new policy is expected to be derived from the David Emerson led Aerospace Review, the November 2012 arm's length review of the aerospace "and space" industry which has had much success in getting its first volume of recommendations relating to "Canada's Interests and Future in Aerospace" adopted as Federal government policy. Of course, what you see ain't always going to be what you get. As described in the March 24, 2013 blog post "Emerson's Space Plan Versus the Canadian Budget," the big Emerson successes so far have been the $1Bln CDN commitment to five years' funding for the Strategic Aerospace and Defence Initiative (SADI) and the smaller, $110Mln commitment to fund the new Aerospace Technology Demonstration Program (ATDP). Both these programs, while useful to the Canadian aviation industry (especially larger, established aerospace firms like Bombardier), are of little use to the small firms which typically comprise the Canadian space industry. James Moore now at bat. Photo c/o Postmedia. But it appears likely that the second volume, relating to "Canada's Interests and Future in Space," is not going to be adopted by the ruling Federal Conservative party in its entirety, especially the recommendations relating to supporting small aerospace businesses and start-ups with innovative ideas and a commitment to keeping jobs in Canada. This is odd, given that this is the sort of policy tailor made for promoting the Conservative agenda. Of course, Minister Moore appears already to have tipped his hand. The December 2nd, 2013 post "Industry Minister Responds to Emerson "Space" Recommendations," noted numerous differences between the original second volume of the Emerson review and the policy changes the Industry Minister was recommending. Is CSA president Walt Natynczyk "encouraging?" Photo c/o CSA. A recommendation for "encouragement" of commercial space activity. According to the report "some of these ideas may prove fanciful, but others may be visionary and produce tremendous profits for their proponents and the companies in which those proponents operate. The R&D support recommended previously (the CSA technology development program and others listed on page 41 of the second volume of the aerospace review) will help stimulate development of the most promising proposals, but its impossible to know with certainty whether a notion which appears unrealistic today might lead to tomorrows breakthroughs. Without endorsing specific speculative projects, public policies and programs can create the conditions for entrepreneurs and researchers to test and pursue creative approaches and, in so doing, jump start Canada's private space activity at a time when the global commercial space business is gaining momentum." (Page 43 of the second volume of the aerospace review). Again, this type of comment, quite noticeable in the original Emerson review, is no where to be seen in recent government pronouncements, which tend to favor the current crop of commercial space players. A commitment to double the current support for the Space Technologies Development Program (STDP) a CSA program to provide initial funds for breakthrough technologies "to reach $20 million annually by 2015–16." This amount is substantially less than requested by the Emerson review, which recommended an additional $10Mln per year over each of three consecutive years, for a total of $30Mln in new funding, in addition to the existing $5Mln annual budget (as per page 41 of volume two of the aerospace review). The Conservative government attitude toward STDP is also out of step with the far larger funding recommendations related to SADI and ATDP in volume one, which were adapted as government policy almost without question. To download the Aerospace Review, please click on the graphic above. And Emerson wasn't the only person to notice the importance of small business in building innovative Canadian companies. The Conservative government's lack of support for small aerospace businesses goes back half a decade and was first publicly noticed by investment bank Near Earth LLC in its 2009 white paper on Small Aerospace Companies: Space Activities in North America and Europe. As outlined in the July 19th, 2009 post "Canadian Space Agency Provides "No Dedicated Programs" to Support Small Aerospace Firms," the Near Earth report stated that, "when compared to organizations like the National Aeronautics and Space Administration (NASA), the National Oceanic and Atmospheric Administration (NOAA), the European Space Agency (ESA) and others, the Canadian Space Agency (CSA) has "no dedicated programs for small business."" Of course, these small business and "NewSpace" companies being ignored by the Canadian government are also the international firms essentially responsible for the current growth of the international space industry, a boom which is bypassing the shrinking Canadian space industry, and was described in the January 24th, 2014 post "Canadian Space Industry Shrinks While International Markets Grow!" Will the Federal government figure this out in time for Friday's announcement or will the Canadian space industry continue to slowly contract in the face of expansive international opportunities? Tim Tebow "In Spaaace!" Photo c/o T-Mobile. So what do space and football have in common? Usually nothing, but this year’s Super Bowl advertisements featured themes not common to the football industry. Take for example, T-Mobile and GoPro, two companies using the growing cachet of space to sell their products through expensive Super Bowl ads. T-Mobile used this “special” airtime to run a clip of American quarterback and current free agent, Tim Tebow doing a series of extreme acts to illustrate how "contracts are limiting." In these 30 seconds, he does everything from delivering a baby to finding Bigfoot and putting on a rock show. 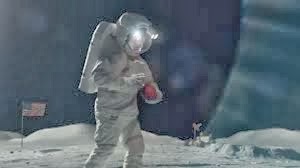 But the most spectacular feat, and the climax of the commercial, was Tebow throwing a football on the moon. It’s understandable why T-Mobile would want to incorporate space, the final frontier, into an ad full of exciting situations not common to the average person. It shows a sense of desire and open-mindedness, allowing people to live out all their seemingly unattainable dreams through the ad. GoPro has a similar approach, where they give off a “dream-big” vibe in their advertisement. They feature Felix Baumgartner’s epic space jump, from an altitude of 128,100 feet.2 Not only was this a spectacular stunt, but the imagery of the ad, showing the curvature of the earth, as well as the blackness of space against the atmosphere is enough to get anyone inspired. With so many extreme stunts to pick from, GoPro went with the space jump, knowing that it will get the most viewers, when they needed it to be something spectacular. As outlined in the February 1st, 2014 Space.com article "Super Bowl XLVIII In Space: Who Are NASA Astronauts Rick Mastracchio And Mike Hopkins Rooting For," even the astronauts aboard the International Space Station (ISS) played a part in Super Bowl activities by cheering on their favorite teams, doing interviews, and discussing what it’s like to not be on the planet during the game. Super Bowl advertisements are incredibly pricey and important to companies looking to get a 30 second spotlight, and it’s great to see that two well-known companies have been using the beautiful and inspiring aspects of space to get attention and sell their products. Dragon Wings On Elon Musk's Starship?